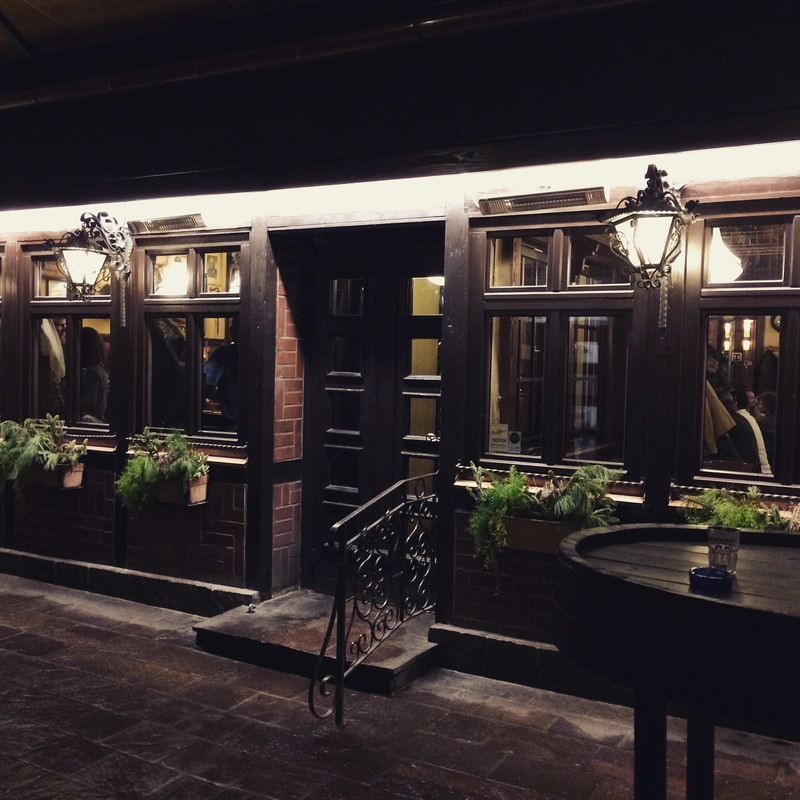 Looking for the right place to enjoy traditional Frankfurt style German food? 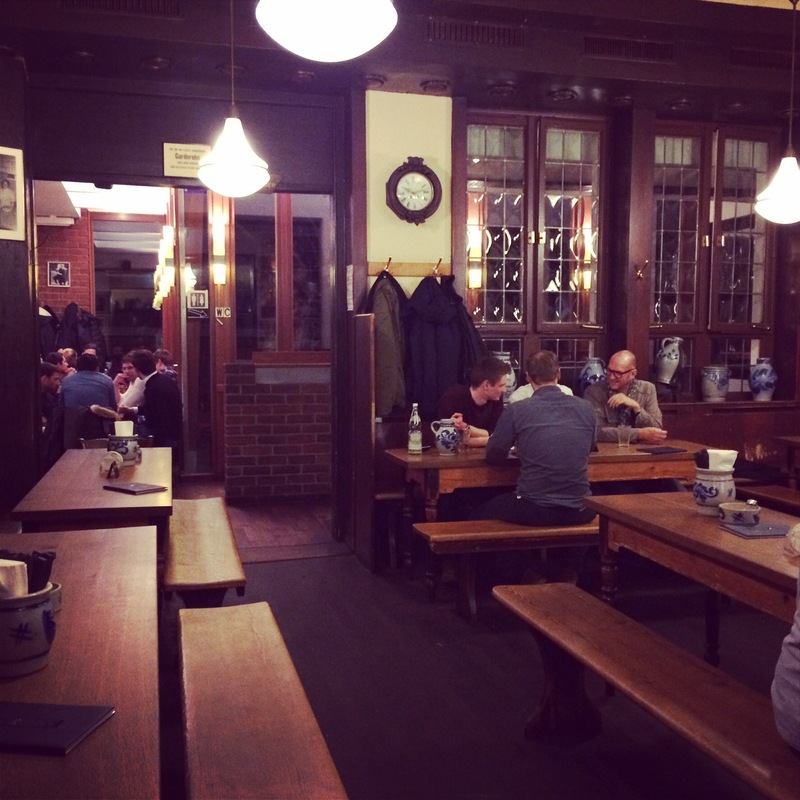 Then head down to Sachsenhausen and go to one of the traditional Apfelwein (apple wine) Kneipe (bars) for a jug (Bembel) of wine and a plate of meat cabbage and potato. The most famous of these is the Adolf Wagner’s and is although it is a little too full of tourists sometimes, the atmosphere is good and the experience for first timers is well worth the effort. This place is particularly well known for the attitude of the staff. Apparently, a proper waiter is supposed to dish out a healthy serving of course humour, impatience and plenty of rudeness. The answers to questions can be short, unhelpful and mildly offensive, but don’t take it to heart. Feel free to return the attitude in full measure! 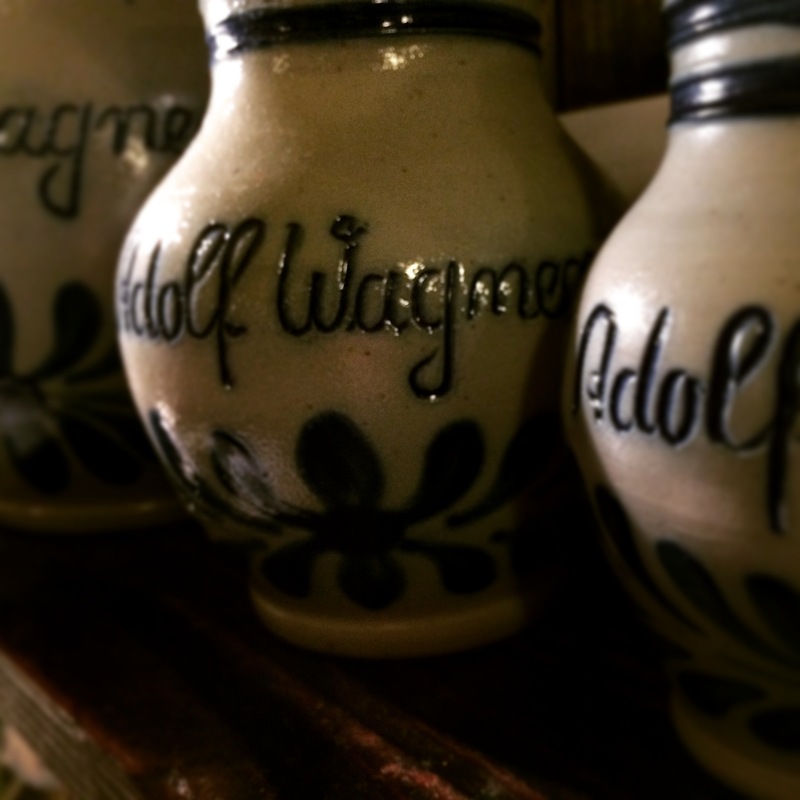 Adolf Wagner’s only serve apple wine, and standard white/red wines. No beer is available. 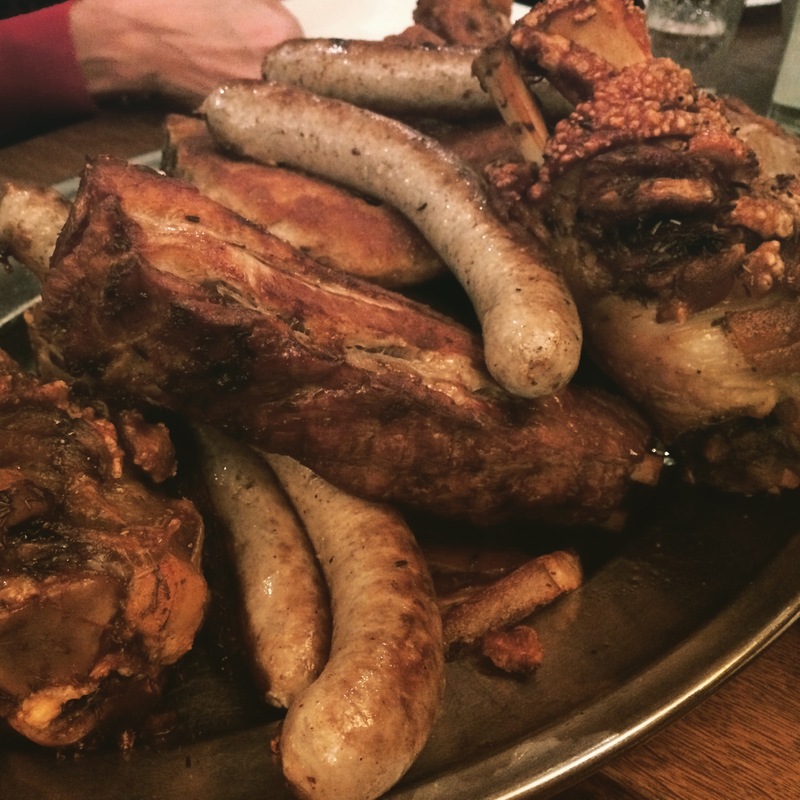 Also their food menu is fairly straight forward including a range of schnitzels and a large meat platter (see photo) for groups. Side dishes tend to all be potato and cabbage based. Keep an eye out for the Frankfurter schnitzel with green sauce (a local speciality) which is actually pretty good. Also keep an eye out for the starter ‘Handkäse mit Musik’ (literally hand cheese with music) which definitely isn’t nice and is often only ordered as a joke :-))). It can be busy though so if you are coming with more than two people it is best to book ahead at any of these places. If you are more than a few minutes late though, they will give your table away! And if you aren’t going to Adolf Wagner’s and have chosen one of the others, then check the menu before you go in. 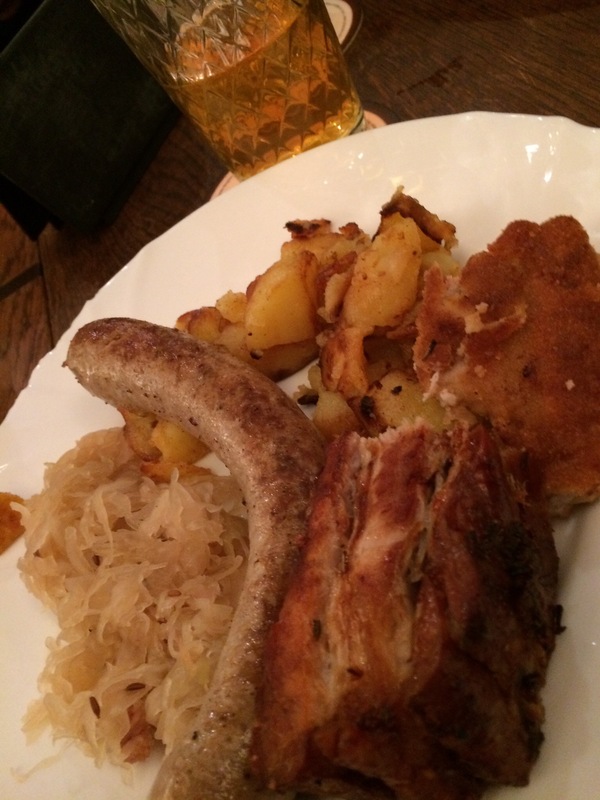 Some serve local beers, some only offer basic old fashioned bar snacks (sausage and bread). Thanks! That was really helpful!